Who is Francis? A prophet for our times? God’s instrument for the renovation of the Church? The initiator of a new springtime of the Faith? This anthology of his principle teachings contrasted with the Magisterium of the Church can be of help to make an accurate judgment regarding these questions. 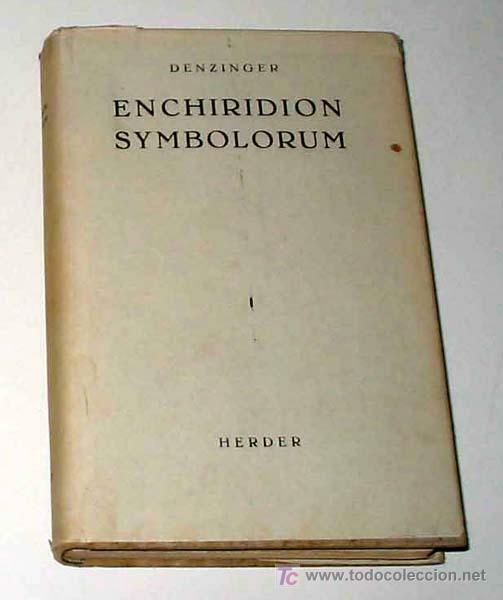 Any student of theology knows of the famous ‘Compendium of Creeds, Definitions and Declarations on Faith and Morals’ formally referred to as ‘Denzinger’ in memory of Heinrich Denzinger – the initiator of this illustrious work, whose first edition dates back to 1854. It was this German priest and doctor in Dogmatic Theology, who produced this summary of the Magisterium of the Church which makes the most important declarations and Conciliar definitions, condemned proposals, and formulas of symbols of the genuine Catholic faith easily available to all. Considerably expanded during the life of the author, who went to the Father’s house in 1883, this work was enhanced in successive editions, with the addition of important early documents as well as the main teachings of recent Pontiffs, and the declarations of Roman Dicasteries that are relevant to this collection. To identify these new editions in academic circles, the last names of the coordinators of the later editions of this work were added to Denzinger’s. Thus we have, amongst others, the so-called ‘Denzinger-Schönmetzer’ edition, commemorating the work of the Jesuit priest Fr. Adolf Schönmetzer; and currently, the ‘Denzinger-Hünnermann’, by Peter Hünnermann, who carried out the inestimable task of including the Magisterium of Vatican Council II and the more recent Popes in the famous compendium. In any of its versions, the Denzinger has always been considered an authority as a compendium of the infallible teachings of the Holy Mother Church with regards to faith and morals. And all of this in straightforward language, a secure means to discover what one should believe, and how one should act to be a good Catholic. Let us remember, however that the Magisterium is like the treasure referred to in the Gospel (Mt 13:52) from which the father drew out ‘new and old things’. The Holy Father, Supreme Pontiff and Supreme Shepherd of the Universal Church has the duty, ex officio, to care for the deposit of Faith, and at the same time, to offer the immortal teachings of the Good News in the most appropriate way for the faithful in each place and point in history. But as John Paul II affirms: ‘The Roman Pontiff in fact has the ‘sacra potestas’ to teach the truth of the Gospel, administer the sacraments and pastorally govern the Church in the name and with the authority of Christ, but this power does not include per se any power over the divine law, natural or positive’ (John Paul II, Address to the Tribunal of the Rota Romana, January 21, 2000). In this sense, the election of Cardinal Jorge Mario Bergoglio as Bishop of Rome on March 13, 2013 caused a real upheaval in the Catholic world. It is what has been called ‘Hurricane Bergoglio’, or ‘the Francis Effect’. The new Pope, with his peculiar way of proffering his teachings, leaves no one indifferent. Therefore, in memory of the immortal work of Denzinger, and with the objective of providing elements to the faithful for forming criteria for analysis, we have sought to compare the Magisterium of the Church with Francis’ innovations, that appear almost on a daily basis. And so the ‘Denzinger-Bergoglio’ was born.